It's another awful year at Bathory High for Vladimir Tod. The evil vampire D'Ablo is hunting for the ritual that could steal Vlad's powers. His best friend doesn't want to be his drudge anymore. And it's getting harder for Vlad to resist feeding on the people around him. When months go by with no word from Uncle Otis, and D'Ablo shows up demanding Vlad's father's journal, Vlad realizes that having a normal high school year is the least of his concerns. Vlad needs to act fast, and even his status as the Pravus won't save him this time. 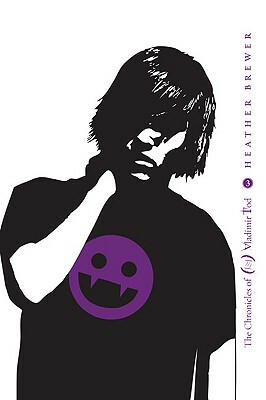 Heather Brewer was not your typical teen growing up. She wore black, danced under full moons, and devoured every book in sight. She hasn't changed much. Today, Heather can be found writing in her funky, black Happy Bunny jammie pants, dancing under a full moon, devouring every book in sight, and attending renaissance faire in full costume (and in character). When Heather's not writing, dressing up, dancing and reading, she's answering email, which she loves to get over at her website.